ZivaVFX runs on the CPU only, so you don't need to worry about GPU. Our in-house simulations typically run in less than 32GB of RAM, so you're fine for that if you do similar levels of detail. There isn't really a minimum spec for CPU - the faster your CPU that faster it will run, but any modern CPU will be capable of running a simulation. I typically tune the performance and algorithms on an 8-core machine (mostly on an Intel Core i7 5960X), so that's probably the sweet spot for number of cores. Every time when I run the muscle pass simulation from Ziva anatomy Max, Maya just shut down. 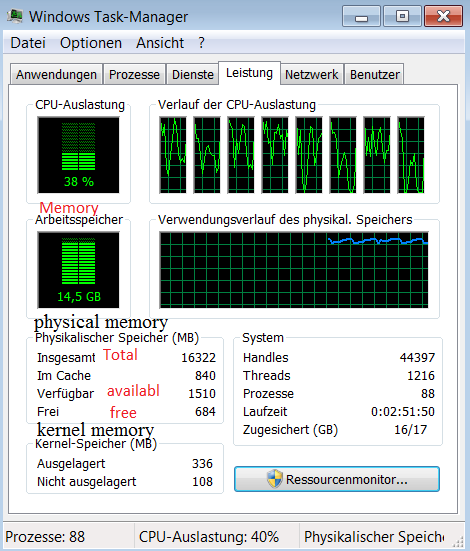 The computer is 16GB of RAM, could this be the problem? It's possible that it's crashing due to running out of memory, but that's a bit surprising. Your OS should keep giving out virtual memory even when you run out of RAM. It should just make everything really slow. Viewing your memory usage up to the moment of the crash might help figure out of that's the problem. You might want to try disabling all but one tissues. If that still crashes, then something strange is happening. Otherwise, keep re-enabling more of the tissues until it crashes again. If nothing else, this will help narrow down what's going wrong. If you can send us full bug report and a scene that reliably crashes, I'd love to have a look at it and fix the plugin so it doesn't crash. At the very least, it should print an error message instead of crashing Maya. Well, you were right. "bad allocation" indicates you ran out of RAM. With 16GB, you're not going to be able to run large sims. Do you have a RAM cache in the scene? Perhaps consider deleting it to save on RAM. I've kept the collision point spacing as the default value (0.002) from the Max folder. I think I will first extend the RAM to run the complete simulation for ZivaAnatomy Max. Then see how far I can get.